How would you like to be the new owner of The V Marketplace? With 38,000 square feet, the V Marketplace is located on a 23-acre Vintage Estate. The festival-style center offers upscale specialty shops, galleries and restaurants, a wine tasting cellar, and Napa Valley’s original hot air balloon company, all housed within and around the historic Groezinger Winery complex. Meandering cobblestone walkways, scenic views and lush picnic gardens surround the property. Special events and entertainment are scheduled year-round. V Marketplace is listed in the National Registry of Historic Places with the U.S. Department of the Interior and has a rich history. 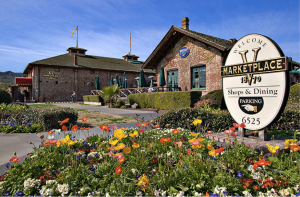 Formerly the Groezinger Winery, and once known as “Vintage 1870,” the V Marketplace complex was originally built in 1870 by German-born vintner Gottlieb Groezinger. One of the largest facilities of its day, the Groezinger Winery and family home occupied more than half of the 23-acre Groezinger Estate. It included a massive brick winery, a brandy distillery, a steam power plant, creamery, brick stables and barns, and a two-story estate mansion to the north of the property. The property was sold by the Groezinger family in 1889, but remained an operating winery under successive owners until 1955. Over the past decades, and under subsequent ownership, the buildings have undergone continuing restoration to carefully blend the character and charm of yesteryear with the richness of the present day. Since opening in 1968, V Marketplace has distinguished itself as Napa Valley’s landmark icon of shopping, e ntertainment and special events. The center now welcomes over half a million visitors from around the globe through its doors each year. The listing also includes the Vintage Inn, which opened in June of 1985 as the sister property to V Marketplace. The Vintage Inn is an elegant 80-room country inn of the finest California tradition. A 4-Diamond Triple A award-winning property, the Inn offers guests a unique resort atmosphere with pool, spa, tennis and cycling amenities. The Villagio Inn & Spa is also part of the exclusive lists. This luxury Napa Hotel has been dubbed a “pleasure seeker’s heaven” by Town & Country Magazine. This Tuscan-inspired Yountville hotel property features flowing water fountain pathways weaved throughout lush Mediterranean-style gardens, an elegant health spa, state-of-the-art conference facilities accommodating up to 100 people, 2 heated outdoor lap pools, whirlpool Jacuzzi and tennis courts surrounded by vineyards. 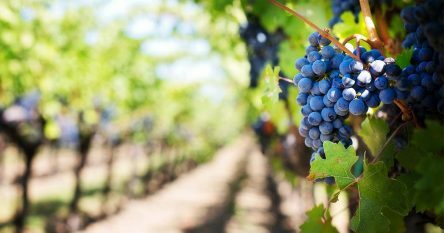 For more information about the V Marketplace, the Vintage Inn in Napa Valley, Villagio Inn and Spa and other amazing Yountville Real Estate opportunities, please, please contact me at 707-738-4820 or email [email protected]. 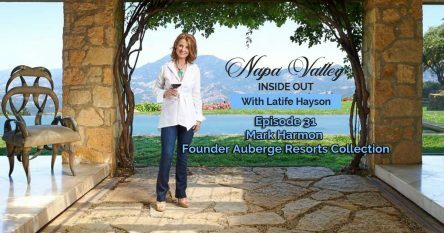 I have a wealth of experience in Yountville Real Estate, including Intel on recent sales. 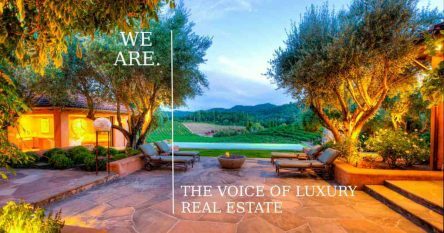 As a top producing Realtor® in Yountville, I have access to some extraordinary wineries, vineyards and estates that are not on the open market. The inventory is extraordinary right now and each and every property has spectacular views. I look forward to helping you buy or sell your property in one of my favorite towns on the earth: Yountville.